Today’s Talisman is about creative intuition. 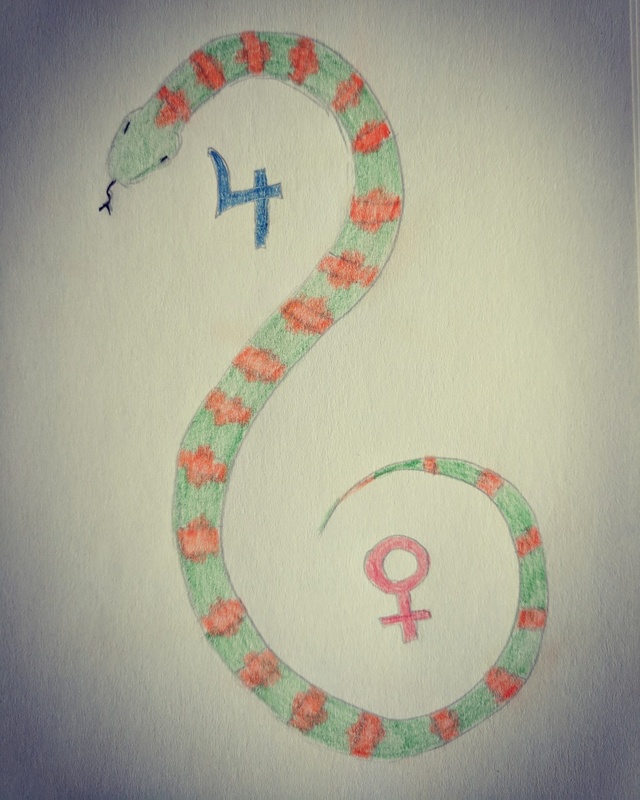 I used both green and orange for creativity, the snake to symbolize wisdom, Jupiter to symbolize expansion, and Venus to attract ideas. Basically – this talisman is all about drawing more creative intuition and wisdom into one’s life. Creative Intuition – in colored pencil. This entry was posted in magical artifacts, Magick, Spirituality and tagged leviathan, serpent, talismans by Steph. Bookmark the permalink.